Thank you, Kim, for your time and for sharing a bit about yourself & your writing. Dog-ear or whatever else as bookmark? I have approximately 1000 bookmarks. There is always one lying around. Plot or Character? Both! Also voice. HEA or unexpected twist? Anything that suits the story, and is well executed. Q: How long have you been writing and/or reading? Have the written words always been a big part of your life? always had a book with me; I grew up with The Baby-Sitters Club, The Gymnasts and Nancy Drew. still have them! They have intriguing titles such as, ‘I Want Some Cake’ and ‘The Mushroom Ring at the Bottom of My Garden’. Q: Could you please share with us your publication journey? A: After spending several years working on a manuscript alone, my debut novel was picked up from the ‘slush pile’ of an independent press, which gave me great insights into revision and editing as well as invaluable industry experience. My second novel was selected to participate in the QWC/Hachette Australia Manuscript Development Program in 2013, and it was after this that I signed with my agent and was offered a two-book contract with Pan Macmillan Australia – those books are Like I Can Love and The Three of Us. Q: So far, ‘motherhood’ seems to play a big part in your novels… is there any particular scene that was actually a real life incident? Could you also share with us your motherhood journey so far? How are you finding juggling kids and writing? bewildered and lonely! The biologically female act of childbearing isn’t always easy in a male-centric world. So I think there are lots of conversations to be had there. To answer your question about kids and writing – I write when I can! I have to be flexible. Some days I’m able to write a lot, and some days I’m not able to write at all. I spend a lot of time mulling stories over in my head and jotting down notes. A: That’s a great question! Each book has been slightly different, but I’m definitely not a planner. I begin with a basic idea, a character’s name, and perhaps a rough idea of setting. Then I just start writing, keep writing, and see what comes up. I’m pretty linear – I write from the beginning to the end, with only the occasional deviation if something strikes. My first drafts are awful things, terribly rough, and there are usually tens of thousands of words that get dumped and rewritten within the first few drafts. It’s usually around draft three or four when I’ll write something of a scene map. I can be several drafts in and still adding or subtracting or fixing major storylines. (Luckily for me, I thoroughly enjoy editing.) I’m one of those writers who needs quiet – I find music too distracting. It’s why I also can’t write in cafes or public libraries. I write in my home office with the door closed, or when I’m home alone, or sometimes in the car. Q: I see you also work as freelance graphic designer, did you design your own covers and/or how much say do you have with your covers? A: My first novel was published by a small press, and I had the unique experience of being able to design my own cover (with a brief from the publisher, of course!). With my next two books, I was able to enjoy the experience of taking my designer hat off, and just being the author. Which I have loved! Q: Congratulations on the publication of your Third book (fifth baby?) What’s next for you, Kim? Oh, it’s always hard to narrow it down! A non-exhaustive selection of books that I read last year and loved (not necessarily published in 2017): Plane Tree Drive by Lynette Washington; Eleanor Oliphant is Completely Fine by Gail Honeyman; I Am, I Am, I Am, by Maggie O’Farrell; Whisky Charlie Foxtrot by Annabel Smith, Lincoln in the Bardo by George Saunders. And no doubt 2018 will deliver plenty of excellent books, but here’s just a few I’m looking forward to: The Passengers by Eleanor Limprecht (March); Trick of the Light by Laura Elvery (March); You Wish by Lia Weston (April); and, later in the year, new books from Sarah Ridout and Les Zig. 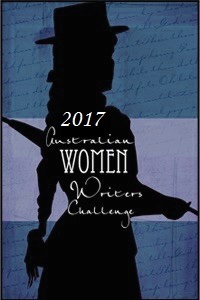 This entry was posted in Australian Author, Interview and tagged #aussieauthor, #australianwomenwriter, #aww2018, #Q&A, #writing on 11/02/2018 by Tien. You have 1000 bookmarks? WOW!!! I like to collect bookmarks, but that’s a huge amount! Would love to hear more about your collection.